CMU, Pitt and UPMC have forged an alliance that will revolutionize health care and jumpstart regional economic development. A new alliance is uniting Carnegie Mellon’s unrivaled machine learning capabilities with Pitt’s world class health sciences expertise. Funded by UPMC, the Pittsburgh Health Data Alliance with CMU and Pitt promises to transform the explosion of health-related "big data" — from sources as varied as electronic medical records, genomic sequencing, insurance records and wearable sensors — into new technologies, products and services that will change the way diseases are prevented and patients diagnosed, treated and engaged in their own care. The Center for Machine Learning and Health (CMLH) at CMU is one of two centers being launched under the umbrella of the Pittsburgh Health Data Alliance. Andrew Moore, dean of CMU’s School of Computer Science, said he is excited about the potential for innovations emerging from the new CMU center to empower people to make better health care decisions. 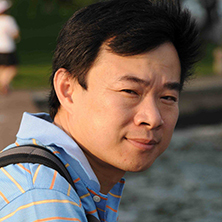 The CMLH will be led by founding director Eric Xing, who was awarded an IBM Open Collaboration Research Award in 2012, to develop novel ways to use big data to search for associations between genetic variations and traits such as major diseases. “Eric is the perfect person to direct this center. He is a world leader in the field of machine learning, and an expert in computational biology and chemistry,” Moore said. The CMLH will focus on five areas: big healthcare data analytics; personalized medicine and disease modeling; issues of preservation of privacy, security, and compliance in the context of big data; data-driven patient and provider education and training; and a new general framework for big data in health care.